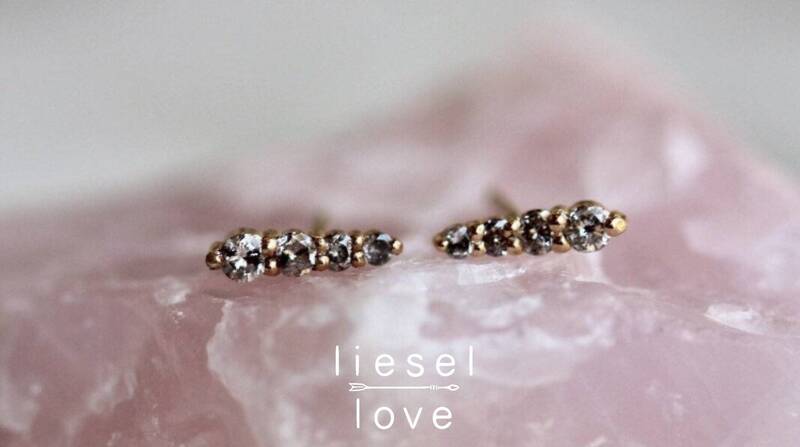 Named for everyone's favorite female hip hop group, our 14K graduated "Salt & Pepa" diamond studs add that extra bit of sass, attitude and sparkle to your ears! 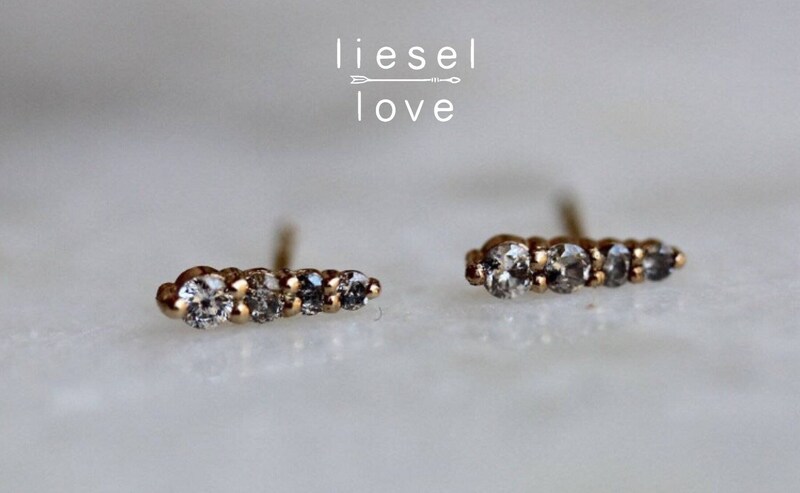 These are nice earrings that are small enough to wear everyday. The stones are smaller than expected and there isn't a gradation as seen in there photos at all. Maybe my pair just didn't get a good distribution of stones but it's more like a few of them have single huge inclusions and not a good distribution to show off the salt and pepper character.